This Ryde town house has been transformed. 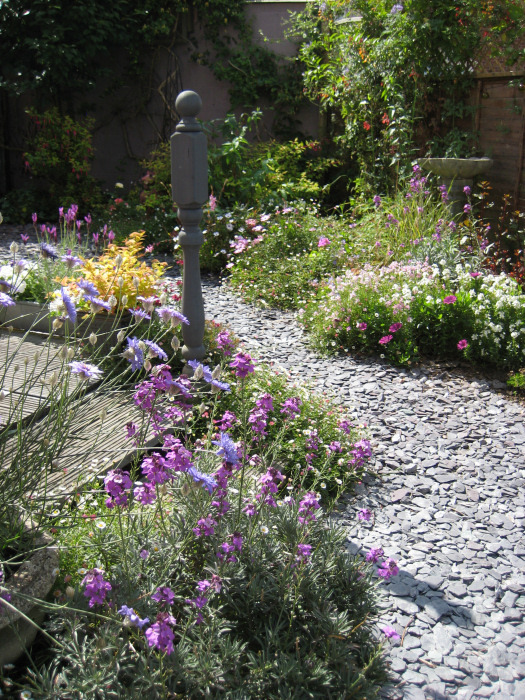 By removing the large bay tree and conifer, a softer planting scheme allowed the garden to become more interesting for both owner and wildlife. The garden is also less maintenance, as the lawn has been replaced with slate chippings and the shrubs that once required regular trimming have been exchanged for perennials and annuals that give all year round interest. Loren Brooks - The Singing Gardener | T. 01983 614075 | M. 07958 496 352 | E.